Ramgiri is inviting you for meaningful and transformative conversations with anyone interested in ending their suffering. This is a space to explore solutions to your daily and/or life-long challenges, anything for which you seek the support and guidance of a spiritual teacher or mentor. This is a sacred time for us and it is based in higher awareness, truth, practical and simple skills and expertise. *Feel free to explore our two previous video-sessions: Conversations with Ramgiri on Parenting and Conversations with Ramgiri – Love Meets Brain Cancer. To participate in future conversations as a guest, please submit your question or topic of conversation to info@skillsforawakening.com. Ramgiri will select the participants for a future Hangout. The conversations (about 1hr long – 2 to 3 guest for the panel) will be happening via Google+. Instructions to set up, etc., will be sent to you. If you want to be part of Conversations with Ramgiri, we encourage you to be familiar with the teachings and practices of HeartSourcing Yoga™, before you send us an invitation request. 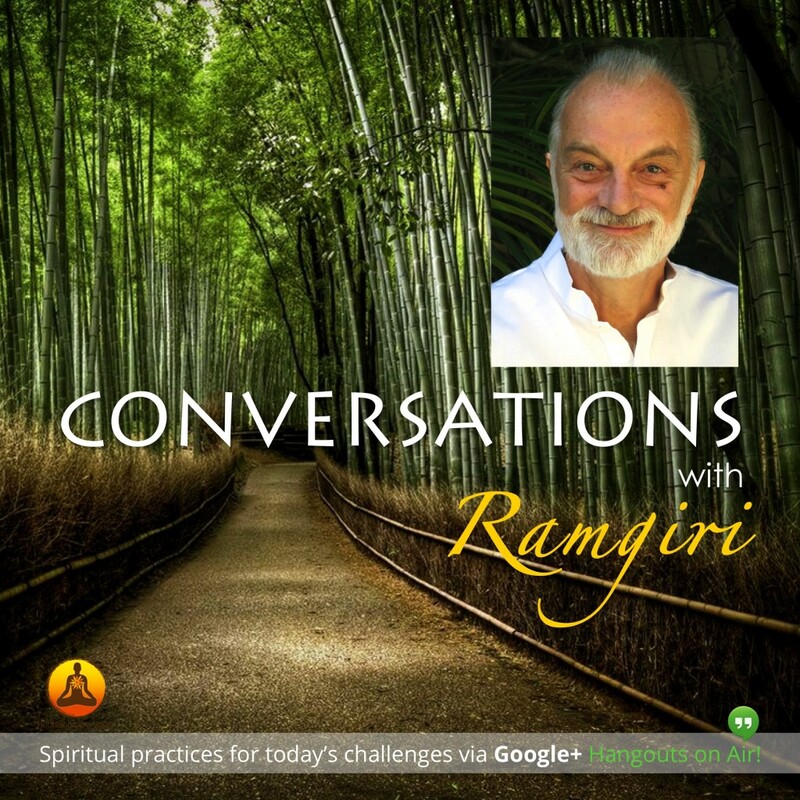 Ramgiri Braun, Ph.D. is an exceptional spiritual teacher and mentor, life-long yogi, Transpersonal Psychologist and Author. In 1972 he met his guru the legendary Neem Karoli Baba, Maharajji, who showed him that enlightenment is his true nature, and the nature of all beings. Profoundly inspired by this liberating love, Ramgiri spent the next 40 years learning from great masters and developing HeartSourcing Yoga™, an integral path to enlightenment through the power of the heart. It combines the systematic science of Yoga with today’s most effective practices for Self-realization, which he described in his recent book “HeartSourcing: Finding Our Way to Love and Liberation.” Ramgiri offers highly personal mentoring to students committed to peace of mind and spiritual awakening worldwide. HeartSourcing can give you direct access to the source of wisdom and love in you and help you release the obstructions that make you unhappy. It points out the way to yourself through the heart.